As distasteful as it can be, there will be, I believe, a necessary condition whereby closer examination of Paul Krugman’s writings and rantings is fruitful. The rise of Keynesian doctrine, more specifically the re-rise, seems to be more and more prevalent especially as the global economy careens out and away from all the trillions in monetarisms that have been perpetrated these past seven years. Part of that is due to Krugman’s assertions, which have been very blunt and emphatic to his credit, that monetarism would not work. Thus what is more important are his prescriptions for what to do next, not as if they will be more effective but rather as instructive as to what further mistakes policymakers will render in the near future. This was not, apparently, a long-held position for Dr. Krugman, but one in which he converted out of Japan’s ‘experiment’ in the late 1990′s. To my own surprise, what the model actually said was that when you’re at the zero lower bound, the size of the current money supply does not matter at all. You might think that it’s a fundamental insight that doubling the money supply will eventually double the price level, but what the models actually say is that doubling the current money supply and all future money supplies will double prices. If the short-term interest rate is currently zero, changing the current money supply without changing future supplies – and hence raising expected inflation – matters not at all. That is his explanation as to why even massive QE will not move to inflation at the zero lower bound. To his formulation there needs to be a credible assertion of continually applying the same pressure through QE. Financial agents are not to be fooled by that, as this is all rational expectations theory, because they know (which is debatable) there is a boundary by which a central bank will not pass. In other words, if central banks commit to doubling the money supply to gain inflation, financial agents already know that such a commitment is false and constrained by (what they hope) rational sense not to perpetuate into hyperinflation and collapse. This post was published at David Stockmans Contra Corner on December 23, 2014. Perhaps the BEA should have moved the GDP release up a few days to allow mainstream commentary its unbridled and unstained euphoria. Almost as soon as the GDP revisions were released, the upward appearance of economic growth was seriously undermined by income results and the nature of spending ‘gains.’ That was soon followed by a rather dire look into business investment through capital goods. And the pre-holiday data dump took one more leg out of the fun with new home sales that continued the trend of the growing and prior real estate funk. The decline in existing home sales released yesterday was matched by not just tepid new home sales in November but revisions that continue all in the ‘wrong’ direction. The total seasonally-adjusted annual rate (SAAR) of sales in November was just 438k, continuing the rather noticeable slightly sinking rate going back to the early part of 2013. The fact that new home sales have not appreciably gained since then goes a very long way toward explaining why builderscontinue to avoid building. It’s not as if the current pace is difficult to best, as new home sales, as construction, remains stuck at a level historically reserved for massive complications. This post was published at David Stockmans Contra Corner on December 24, 2014. It was exactly 100 years ago when the Christmas Truce of 1914 occurred, when Christian soldiers on both sides of the infamous No Man’s Land of the Western Front, recognized their common humanity, dropped their guns and fraternized with the so-called enemies that they had been ordered to kill without mercy the day before. The truth of that remarkable event was effectively covered up by state and military authorities (and the embedded journalists at the time) because the authorities were angered (and embarrassed) by the breakdown of military discipline. In the annals of war, such ‘mutinies’ are now unheard of. The generals and (as well as the saber-rattling, chest-thumping politicians and war profiteers back home) rapidly developed strategies to prevent such behavior from happening again. Christmas Eve of 1914 was only five months into World War I, and the cold, weary, homesick soldiers found themselves not heroes, as expected, but rather miserable, frightened and disillusioned wretches living in rat- and louse-infested trenches. There is a lot to say about the latest GDP revisions, particularly as it relates to the breakdown of the measure in comparison with something besides itself. The headline was all that was needed to ‘confirm’ the best economic growth in decades, though. That last part is the trickiest, as GDP is synonymous with ‘national income’ but is strangely crafted in how ‘that side’ of the ledger is balanced. You would think there would be evidence of this ‘more income’ somewhere, as though second derivatives were as good as actual results. The jump in growth was less dramatic on an annual basis. Economic output in the third quarter climbed 2.7% from a year earlier, up from 2.6% growth in the second quarter. In other words, the baseline comparison of Q/Q was established for this ‘best growth in forever’ in the feverish downward revisions of Q1. That makes it all the more difficult to tell exactly what GDP is saying about the economy. A full part of the downward revisions then were due to the high degree of uncertainty (meaning no prior data upon which to statistically model) surrounding healthcare spending. Analysts reduced to 0.55 percent their GDP estimate for 2015 from 0.69 percent the previous week, according to the Dec. 19 central bank survey of about 100 analysts published today. Apparently that’s a tradable data bite for some algo, somewhere. But its also a cogent demonstration that central bank driven financialization has generated mind-blowing pockets of wasteful stupidity everywhere. Could there really be 100 economists updating there GDP forecast every week to the second decimal point for Brazil alone? In the real world, Brazil is a financially unstable, debt-bloated, politically corrupt, speculation-riven satellite of the China house of cards. Accordingly, the 14 bps of GDP forecast change highlighted above is about as pure an expression of content-free noise as can be found in the financial media. It cannot possibly be of any use except to robo-traders with holding periods of a few seconds – or even hours or days for that matter. If someone were to actually ‘invest’ in Brazilian securities, by contrast, it might be better to know that nearly every single macro indicator is heading south at an accelerating pace; that over the last 10 years the Brazilian economy has been bloated and distorted by the double whammy of unsustainable demand for raw materials from China and rampant internal malinvestment and speculative bubbles funded by its socialist government and the latter’s central bank hand-maiden; and that the Brazilian household sector went on a borrowing spree that made the US mortgage bubble look tame. The mainstream economics narrative is so far down the monetary rabbit hole that the blinding clarity of the chart below has no chance whatsoever of seeing the light of day. That’s because it dramatizes the real truth regarding all the Fed gibberish about ‘accommodation’ and ‘stimulus’. Namely, that what lies beneath its ‘extraordinary measures’, such as ZIRP, QE, wealth effects and the rest of the litany, is a central banking regime that systematically destroy savers. Period. Just take the simple case of a worker who joined the labor force in 1969 at $100 per week or $5,200 annually, and worked at the average non-supervisory weekly wage posted by the BLS every year through 2009. By that point he or she would have attained an ending wage of $600 per week or $31k annually, and a 40-year average annual income of about $20k in nominal terms. With a normal load of payroll and state and local withholding, the latter would have left about $15,000 per year on an after-tax basis. Upon retirement this BLS tracking worker could have possibly accumulated $100,000 in a savings nest egg – -but only if he or she had been completely atypical and set aside an average of 17% of after-tax income each and every year. Needless to say, that would have precluded nearly all everyday ‘luxuries’ such as a regular new car, an occasional trip to Disneyland, a bass boat for weekend fishing and most other like and similar modest indulgences. Instead, deep thrift would have been the omnipresent watchword of this household. This post was published at David Stockmans Contra Corner on December 22, 2014. Patent EP1812575 held by the US company Monsanto has been revoked by the European Patent Office (EPO) after the international coalition No Patents on Seeds! filed an opposition in May 2014. A further opposition was filed by Nunhems / Bayer CropScience. In November 2014, Monsanto requested that the patent be revoked in its entirety and the EPO complied with this request. The patent covered conventionally bred tomatoes with a natural resistance to a fungal disease called botrytis, which were claimed as an invention. The original tomatoes used for this patent were accessed via the international gene bank in Gatersleben, Germany, and it was already known that these plants had the desired resistance. Monsanto produced a cleverly worded patent in order to create the impression that genetic engineering had been used to produce the tomatoes and to make it look ‘inventive’. 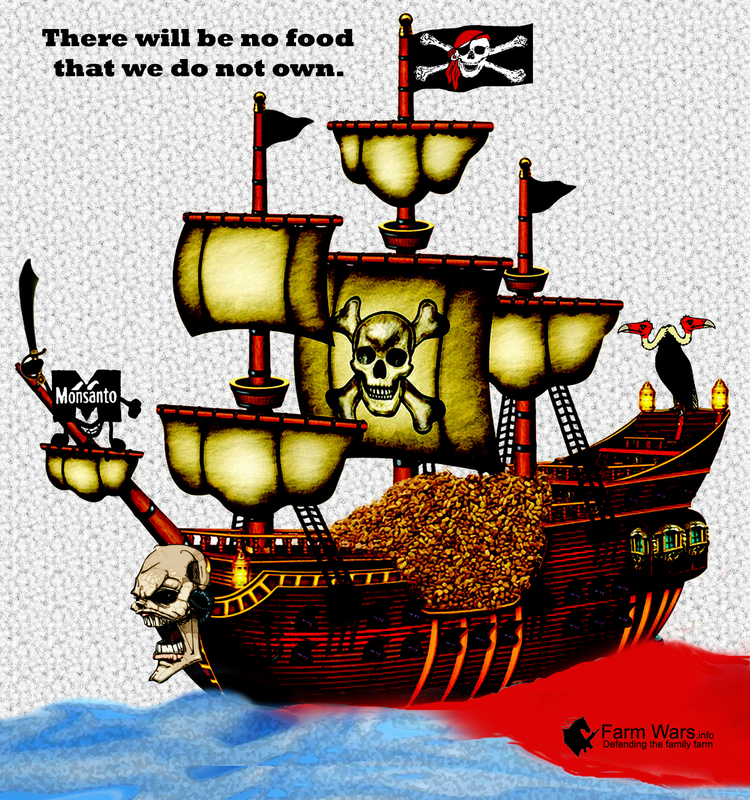 This post was published at FarmWars on 22 December 2014. Folks, it’s a tyranny of the PhDs. Recently, the central bank of Sweden was subject to a withering tirade by that oracle of Keynesian rubbish, professor Paul Krugman, who accused it of ‘sado-monetarism’ for leaving the Swedish economy exposed to the mythical economic disease of ‘deflation’. So the Riksbank threw caution to the wind, and a few months ago joined the global central bank plunge into ZIRP and promised to ladle out free money until at least 2016. To leave no doubt, it is currently cranking up for direct lending, ‘asset purchases’, negative interest rates (N-ZIRP) and the rest of the recently invented central bankers voodoo kit. Anything to achieve its sacred 2% inflation target! Yes, today’s Keynesian central bankers don’t particularly care what happens in the next 30 years or even 30 months. It’s all about the noise-ridden ‘in-coming’ data and whether the gap between actual production and employment, one the one hand, and a theoretical figment called full employment or ‘potential’ GDP, on the other, has been closed. It is downright amazing that the $75 trillion global economy is in thrall to the stupid math models of a couple of hundred PhDs. And these so-called DSGE models (dynamic stochastic general equilibrium) are, indeed, just plain stupid. This post was published at David Stockmans Contra Corner on December 19, 2014. Virtually every day there is an eruption of lunacy from one central bank or another somewhere in the world. Today it was the Swiss central bank’s turn, and it didn’t pull any punches with regard to Russian billionaires seeking a safe haven from the ruble-rubble in Moscow or investors from all around its borders fleeing Mario Draghi’s impending euro-trashing campaign. The essence of its action was that your money is not welcome in Switzerland; and if you do bring it, we will extract a rental payment from your deposits. For the time being, that levy amounts to a negative 25 bps on deposits with the Swiss Central bank – -a maneuver that is designed to drive Swiss Libor into the realm of negative interest rates as well. But the more significant implication is that the Swiss are prepared to print endless amounts of their own currency to enforce this utterly unnatural edict on savers and depositors within its borders. Yes, the once and former pillar of monetary rectitude, the SNB, has gone all-in for money printing. Indeed, it now aims to become the BOJ on steroids – -a monetary Godzilla. So its current plunge into the netherworld of negative interest rates is nothing new. It’s just the next step in its long-standing campaign to put a floor under the Swiss Franc at 120. That means effectively that it stands ready to print enough francs to purchase any and all euros (and other currencies) on offer without limit. And print it has. During the last 80 months, the SNB’s balance sheet has soared from 100B CHF to 530B CHF – – a 5X explosion that would make Bernanke envious. Better still, a balance sheet which stood at 20% of Swiss GDP in early 2008 – -now towers at a world record 80% of the alpine nation’s total output. This post was published at David Stockmans Contra Corner on December 18, 2014. The spiraling energy meltdown is the new housing crash, according to David Stockman, White House budget chief in the Reagan White House. Just as the 2007-09 housing plunge did not put a dime into consumers’ pockets – even though average home prices tanked by about 30 percent, from $230,000 to $165,000 – the energy crunch likewise is not going to add to consumer wallets, Stockman asserts. At the peak of the mortgage boom, he notes, the U. S. savings rate had actually vanished, falling to about 2.5 percent of personal income from pre-Greenspan rates of 10 percent to 12.5 percent. ‘Stated differently, the mortgage credit boom exploded uncontrollably in the run-up to the financial crisis because free-market pricing of debt and savings had been totally distorted and falsified by the monetary central planners at the Fed,’ Stockman writes on his Contra Corner blog. Now Stockman predicts it will be deja vu all over again for Federal Reserve Chair Janet Yellen and her minions at the Fed. ‘Substitute the term ‘E&P [exploration and production] expense’ in the shale patch for ‘housing’ investment and employment in the sand states, and you have tomorrow’s graphs – that is, the plunging chart points which are latent even now in the crude oil price bust. First comes production. Then comes income. Spending and savings follow. All the rest is debt…….unless you believe in a magic Keynesian ether called ‘aggregate demand’ and a blatant stab-in-the-dark called ‘potential GDP’. I don’t. So let’s start with a pretty startling contrast between two bellwether data trends since the pre-crisis peak in late 2007 – debt versus production. Not surprisingly, we have racked up a lot more debt – notwithstanding all the phony palaver about ‘deleveraging’. In fact, total credit market debt outstanding – -government, business, household and finance – -is up by 16% since the last peak – from $50 trillion to $58 trillion. And that 2007 peak, in turn, was up 80% from the previous peak (2001); and that was up 103% from the business cycle peak before that (July 1990). Yes, the debt mountain just keeps on growing. It now stands 4.2X higher than the $13.6 trillion outstanding just 24 years ago. This post was published at David Stockmans Contra Corner on December 17, 2014. Not surprisingly, we have racked up a lot more debt – notwithstanding all the phony palaver about ‘deleveraging’. In fact, total credit market debt outstanding – -government, business, household and finance – -is up by 16% since the last peak – from $50 trillion to $58 trillion. And that 2007 peak, in turn, was up 80% from the previous peak(2001); and that was up 103% from the business cycle peak before that (July 1990). Yes, the debt mountain just keeps on growing. The Good, the Bad and the Plain Crazy The EU Commissariat has just made an announcement that is both good and bad. Let us start with the good: According to European press reports, Chief Commissar Barroso left the commission with an inheritance of 452 legislative initiatives, including the ‘harmonization of standards of maternity protection’, ‘uniform energy taxation and environmental protection legislation’ and ‘forcing all nations to implement waste recycling’ (if you want to know why waste recycling, which superficially sounds like a great idea, is yet another complete etatiste charade, read this article in which Per Bylund deconstructs the recycling myth using socialist paradise Sweden as an example). So much for the ‘good’. However, it is very unfortunate that many of the remaining initiatives they have decided to concentrate on (the bad) mainly consist of bureaucratic nonsense of the finest. Among the top initiatives we find for example: The ’315 billion investment offensive’, an ‘ambitious digital single market package’ (under the leadership of the economically and technologically illiterate digital commissar Mr. ttinger, whom we have profiled before), and ‘fair taxation’ (the term ‘fair’ in conjunction with the term taxation always means only one thing: higher taxes). We want to once again focus on the bizarre ‘investment initiative’ on this occasion. This project is one we would term both ‘bad’ and ‘plain crazy’, although the political cronies who stand to be enriched by it would of course disagree. This post was published at Acting-Man on December 17, 2014. Let’s see. Between July 2007 and January 2009, the median US residential housing price plunged from $230k to $165k or by 30%. That must have been some kind of super ‘tax cut’. In fact, that brutal housing price plunge amounted to a $400 billion per year ‘savings’ at the $1.5 trillion per year run-rate of residential housing turnover. So with all that extra money in their pockets consumers were positioned to spend-up a storm on shoes, shirts and dinners at the Red Lobster. Except they didn’t. And, no, it wasn’t because housing is a purported ‘capital good’ or that transactions are largely ‘financed’ at upwards of 85% leverage ratios. None of those truisms changed consumer incomes or spending power per se. Instead, what happened was the mortgage credit boom came to a thundering halt as the subprime default rates became visible. This abrupt halt to mortgage credit expansion, in turn, caused the whole chain of artificial economic activity that it had funded to rapidly evaporate. This post was published at David Stockmans Contra Corner on December 16, 2014. Don’t believe everything you read in the mainstream media. Especially don’t believe anything in the financial news media until you’ve looked at the data yourself. It’s no wonder investors are so often caught flatfooted in the markets. Financial ‘journalists’ feed their readers and viewers a constant stream of misinformation and bad data. Financial reporters are so atrocious at serving their audience I have to believe that they are, wittingly or unwittingly, part of a deliberate and elaborate campaign of disinformation… unless you believe in Coincidence Theory. Housing starts collapsed in November. They weren’t good, they weren’t even so-so as media reports intimated. The seasonally adjusted annualized number which the paid flacks report is absolute nonsense. It’s fiction. Actual, not seasonally adjusted single family starts were down by 10,400 units in November to 47,700 units. November is always a down month but this was the worst November performance since 2008, in the teeth of the housing crash. The rank economic cheerleading in the guise of ‘news’ printed by the Wall Street Journal, Reuters and the rest of the financial press never ceases to amaze. But on the heels of Congress’ pathetic capitulation to Wall Street over the weekend you have to wonder if even the robo-writers who compose the headlines are on the take. How could anyone in the right mind label this weekend’s CRomnibus abomination ‘A Rare Bipartisan Success for Congress’? Apparently, that unaccountable plaudit was bestowed upon Washington by the WSJ solely because it avoided another government shutdown. And one that was of its own making at that. After all, we are already 75 days into the new fiscal year, yet Congress had not yet passed a single appropriations bill. So once again it had set itself up for the usual midnight scramble behind closed doors where the pork barrel overflows and sundry K-street lobbies stick-up the joint and then demand immediate passage – – sight unseen – – in the name of keeping the Washington Monument open on the morrow. Not only did Citigroup and the rest of the big Wall Street banks succeed in gutting the ‘push-out’ requirements of Dodd-Frank, thereby extending their lease to gamble in the derivatives market with FDIC (i.e. taxpayer) guaranteed money. Crony Capitalism also got a huge bonanza in the form of a 10X increase in the contribution limit to party committees. Now the heavy hitters can actually give $230,000 annually to the GOP and Dem campaign committees. And this is supposed to merit praise? Yes, this game has been going on for years. But the fact that the nation’s leading financial newspaper was witless enough to describe it as a ‘success’ is something comparatively new. What has happened is that the deafening clamor from the Wall Street casino for endless winnings has subordinated all else. Even a brief government shutdown is now verboten – – -not because it would have any deleterious effect in the real world where virtually 80% of domestic operations are exempted under the ‘health and safety’ clause, anyway. No, the purported danger is that it might prompt a panicked sell-off in the stock market. This post was published at David Stockmans Contra Corner on December 15, 2014. The French government said Uber’s service that uses drivers without professional licenses is ‘illegal.’ Officials said they would move quickly to apply a new transport law that comes into effect on January 1, stiffening penalties for operating such services. ‘Passengers still don’t know that it isn’t a legal car service, and drivers don’t understand the risks they’re running, such as fines or the seizure of their vehicles,’ said Pierre-Henry Brandet, a spokesman for the French interior ministry. Organizing a system that puts paying clients in touch with drivers without professional licenses will be punishable by two years in prison and a 300,000 ($373,540) fine, according to the new law cited by officials. Don’t ever think for a minute that the central bankers know what they’re doing. They don’t. And that’s my own view, but I’ve heard that recently from a couple central bankers. I recently had spent some time with one member of the FOMC, the Federal Open Market Committee, and another member of the Monetary Policy Committee of the Bank of England, which is the equivalent of their FOMC, both policymakers, both central bankers. And they said the same thing, ‘We don’t know what we’re doing. This is a massive experiment. We’ve never done this before. We try something. If it works, maybe we do a little more; if it doesn’t work, we pull it away, and we’ll try something else.’ And the evidence of this – again, I’ve heard this firsthand, and it’s my view – but the evidence for this is that their have been 15 separate fed policies in the last 5 years. This post was published at David Stockmans Contra Corner on December 14, 2014. Today I had the pleasure of interviewing David Stockman. He is a former Congressman from Michigan, former Director of the Office of Management and Budget under President Ronald Reagan, and former partner at The Blackstone Group. Stockman is the author of The Triumph of Politics: Why the Reagan Revolution Failed (1986) and 2013′s The Great Deformation: The Corruption of Capitalism in America. On the show today we discussed how some of his work traces ‘historical dominoes.’ It was fascinating to learn how certain events in history led to others and so on, until we wind up with thus and so… For example: how did the creation of the Fed in 1913 lead to the 2008 crisis? What was the chain of events? Find out in today’s episode. This post was published at David Stockmans Contra Corner on December 13, 2014. While the government may have voted itself some $1.1 trillion to spend until the end of fiscal 2015, the biggest contention in the Cromnibus, or as it is also known, the Cronybus, vote which passed the House with the narrowest of margins on Thursday night, was the swaps push-out provision – drafted by Citigroup – and which, as we detailed yesterday, could put American taxpayers on the hook for up to $303 trillion in gross notional derivatives as a result of “siloing” swaps, and their associated risks, in FDIC-insured operating companies. The only question is what was the (s)quid for this particular quo. Now thanks to an analysis by the WaPo, we have the answer. First, it should come as no surprise that Republicans would be willing to vote for a bill that seeks to indemnify Wall Street from future failure. After all, Wall Street’s proximity to the GOP, and vice versa, is hardly a contentious issue. And yet, it was “only” 162 republicans who voted for the Cromnibus – some 67 voted against. Which means that whipping the 57 democrats who also voted for the Bill to get the crucial 218 passing votes was far more critical to assure passage of the swaps push out provision. This post was published at Zero Hedge on 12/13/2014.